How had a promise to a friend landed him at the altar? 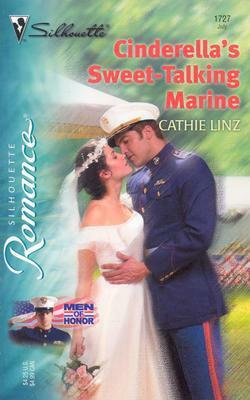 U.S. Marine captain Ben Kozlowski wasn't quite sure, but he knew it had something to do with Ellie Jensen's soulful brown eyes and beautiful soft skin. Being near her had his pulse racing like a fresh recruit's. From the moment he had laid eyes on her and started inventing fairy tales for her adorable five-year-old daughter, Ben had felt his insides melt for this vulnerable little family. They were his family now. And after accepting this dangerous domestic mission -- the riskiest he'd ever had -- did Ben dare let his guard down and surrender? Or would Ellie and her daughter take his heart hostage for keeps?